TABLET computers have blossomed as gadgets-to-have in the past three years but the incredible competition among makers has made choosing one to buy more complicated than it is to use them. We've had a look at five of the most popular tablets on the market. In the ring today are the iPad 4, Amazon Kindle Fire HD 8.9", Google Nexus 10, Microsoft Surface Pro and the Samsung Galaxy Note 10.1. Since Apple resurrected the tablet market with their original iPad, all contenders have been compared to Apple's latest offering. The iPad 4 has a better processor, camera and connectivity than its predecessor, but apart from the diminished battery life, not much else has changed in the short period since the iPad 3 was released. That said, the graphics are amazing, whether it be watching a movie, playing awesome games, flicking through magazines or your local newspaper or favourite websites. Nobody really expected Amazon to jump from ebook readers to tablet PCs, but they've finally come out with a solid all-rounder with a good price for good performance. If your main concern is watching videos, reading books or shopping online, this is a great choice for you, especially given how well it connects with the broader Amazon ecosystem. The Fire HD 8.9" is beginner friendly and cheaper than the iPad, but the simple design and over-reliance on the cloud mean that advanced users or people with poor internet connections might want to consider another tablet. 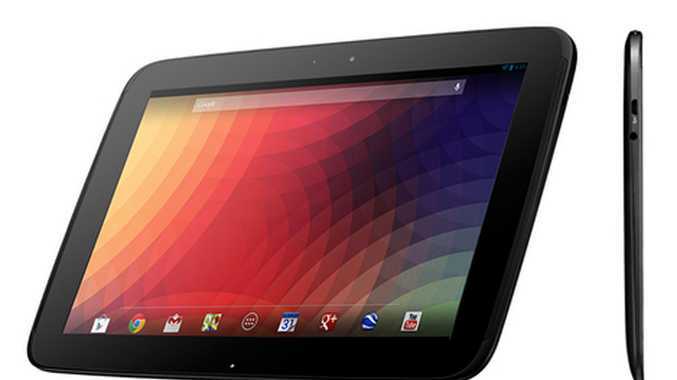 The Google Nexus 10 is fast, slick, ergonomic and has easily the most beautiful display of any of the tablets reviewed. If you can get over the below-average battery life and slow charging, the Nexus beats the iPad on display, performance and value. While the Nexus's rubber finish might not be for everyone, it'll fit in your hand better than the rest and there's every reason to buy this gadget. Unless you're heavily invested in Microsoft's software ecosystem and new Windows 8 operating system, this tablet isn't ready yet. The Surface Pro is sluggish, expensive and lacks in apps and storage. The design is a definite high-point but the display is seriously uninspiring. Keep an eye on Microsoft - their next generation could be the best out there, but for now the productivity benefits aren't worth the overall disappointment. Given how powerful the Note 10.1 is it's surprising that the display is so lacklustre and the price is so high. The Note 10.1 is essentially a larger version of the fantastic Galaxy Note 2 phone, but the useful stylus, split-screen and multi-tasking don't make up for the poor design, connectivity issues, average display and middling battery life. While popular oversees, this isn't the best value tablet in the list and has nothing on the much better Nexus 10 or even the iPad 4. Unless you're an Apple junkie, the Google Nexus 10 is the best tablet in this review and most worth your money. This is especially odd given that the Nexus 10 is manufactured by Samsung, whose Note 10.1 is the most disappointing contender in the round-up.